Hubs: "Do we need to take any meat out of the freezer tonight....hold on, I'll check your blog." My 7 year old dinosaur of a Macbook made these simple Sunday posts take at least twice as long to do, but I still did it. In order to do any other posts throughout the week this meant firing that old thing up again and frankly, I do not have the patience to deal. It's been sitting in the corner of my bedroom collecting dust until Sunday rolled around again. The point of this random late Monday night post is that there are a ton of unwritten blog posts in my head still, and now that my wonderful Hubby came home with this beauty, I hope to get back into it! I'm eternally grateful!!!! Love you babes! This is going to be fun, I'm not even sure where to begin. It's as though I need to redefine my blogger identity...let's see where this thing takes me next! RIP old Macbook, you served me well! On to the next one! Heehee! Goodnight Friends! I just got a MacBook Air on Thursday!! I am in love!! 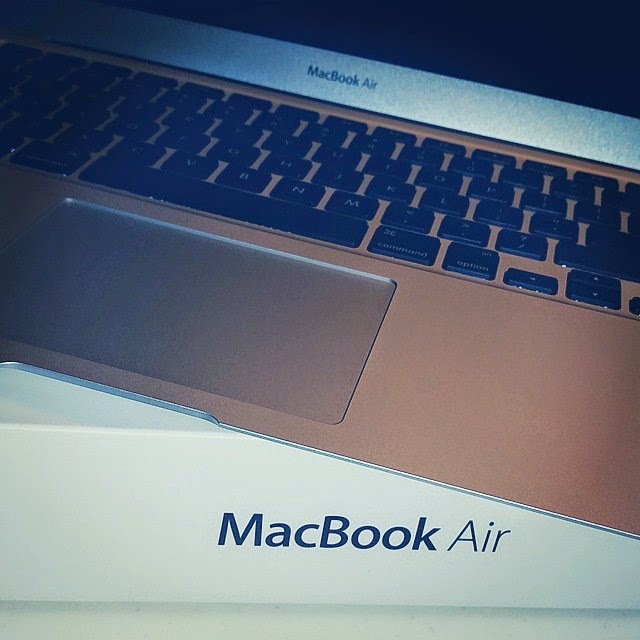 I have the MacBook Air and I love it. I would never trade this for anything.